When you receive a traffic ticket as a result of a moving violation, points are put on your license. Different offenses are worth different amounts of points; as an example, speeding can be worth anywhere from 3-5 points depending on how far above the speed limit you were going. Once you accumulate 10 points, your license is suspended for 90 days. At 12 points, your license is revoked, costing you all driving privileges unless the DMV reinstates your license, which will take at least six months. Accumulating points is also likely to increase your auto insurance rates. For a complete list of infractions and the points they are worth, see the Washington, D.C. point schedule. Taking an online defensive driving course, which can be found at www.dcdefensivedriving.com, can get points from an infraction waived so they are not added to your license. In order to do this, you must have a hearing with a DMV Hearing Examiner who will listen to your case and decide if you are eligible to have the points waived. And not only can you avoid your auto insurance rates from increasing, it may also qualify you for a reduction; contact your provider for details. Once you have approval from the Hearing Examiner, you will still need to pay your fine, and you must do so within 15 calendar days. You must also complete the defensive driving course, also called traffic school, within 30 calendar days of your approval. Once you pay the fine and complete the driving course, that's it! 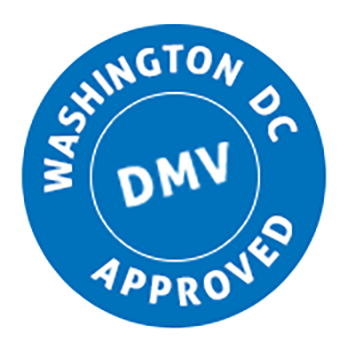 DCDefensiveDriving.com will automatically submit your certificate to the DMV. The DMV will then send you a notice that they have received the certificate and waived your points. You will also be able to download a copy of your certificate at no additional cost to keep for your own records.